Leroy Heu celebrated National Athletic Training Month by providing Athletic Training Services at the 19th Annual Special Olympics North Divisional Basketball Tournament at the UCSB Thunder Dome Events Center. There were over 400 athletes representing Santa Ynez, Santa Maria, Lompoc, Ventura, Santa Clarita, Bakersfield, Simi Valley and Burbank. 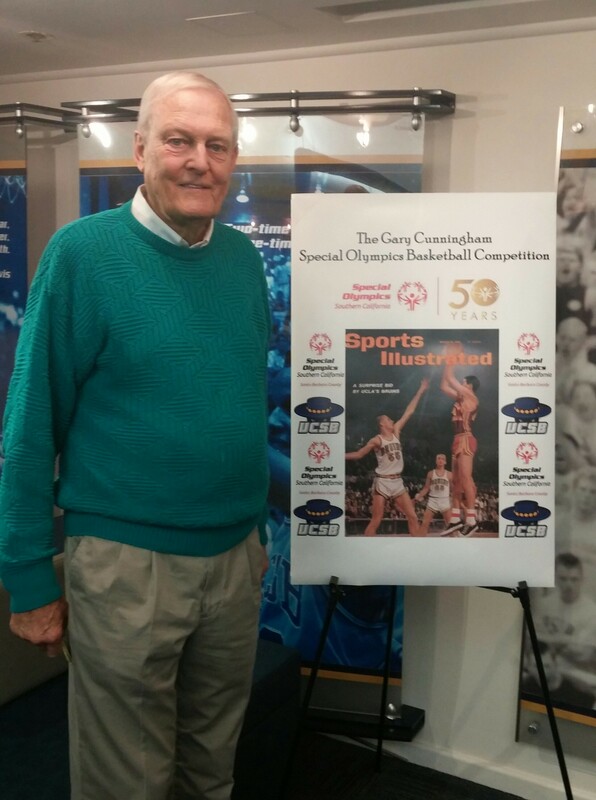 This year marked the inaugural name change to “The Gary Cunningham Special Olympics Basketball Competition”. The opening ceremonies included the naming ceremony and presentation by Congressman Salud Carbajal to Gary Cunningham and Special Olympics Parade of Athletes. Gary Cunningham is an advocate for Athletic Trainers. Gary has many stories that he has shared with Leroy regarding his time at UCLA with Ducky Drake, former long time Athletic Trainer. While Gary served as UCSB’s Athletic Director he was the driving force to get a larger athletic training room for Leroy. The new athletic training room opened in 2005. Fourty-eight basketball games were played throughout the course of the Special Olympics competition with minor injuries. The afternoon ended with smiling faces as all the athletes just enjoyed being on the court playing basketball!